For the last few decades, cable television has been the only way to access your favorite television shows. However, in the last few years, streaming services have taken the place of traditional cable companies, causing a serious shift in the market that reflects a change in consumer preferences. While you may not be ready to give up your favorite shows (nor should you have to! ), you should know that there are easy ways to cut the cord and ditch your cable company for good. Before you start shopping, you need to narrow down what you really need out of your TV experience. Do you want to watch live broadcast television? What about sports channels or premium networks like HBO or Showtime? Do you want the ability to record television to watch it later? Finally, how much money do you plan on paying for your cordless service? Still stuck? There are tools out there, like different apps and websites, that will help you select the best streaming services based on the shows and channels you care about most. For starters, check out Untangle.TV or Suppose, both of which are TV bundle comparison tools that allow you to plug in the devices you want to use and allow you to filter for services that you want or don’t need. Using these services as well as your own obvious ability to compare and contrast, you can begin to piece together your dream package. But the work doesn’t stop there. Once you know what you really want out of your television, you need to figure out what kind of equipment you will need, and what the best streaming service will be for your preferences. Let’s start with the basics. To ditch your cable company, you need to first figure out what kind of equipment will be necessary. There are a few pathways you can choose from. You can invest in an HD antenna, for starters, as the most simplistic and inexpensive option. HD antenna service will cost nothing beyond the antenna itself, and will allow you to watch your favorite network television in high definition. These usually reach stations within a twenty to fifty mile radius, but be aware that the inexpensive price tag comes with limitations: you can only watch local networks. HD antennas don’t allow you to stream videos, but if you want to watch live local television, then they are the way to go. All you do is hook it into your television, put it somewhere near a window, and enjoy free television. There are also streaming players. You might consider the Roku or Google Chromecast. These have varying abilities, but offer a close alternative to traditional cable. If you want to take advantage of streaming services like Netflix or Hulu, you need to have some kind of streaming device. You can consider set-top boxes, game consoles, streaming sticks, and other devices. Consider a cable replacement service. These are a great transition for people who are more hesitant about cutting the cord, and are pretty close to having a traditional cable subscription. With a cable-replacement service, you pay for live channels in real time, except they stream over the Internet versus a cable. You can also record programs to watch later. Consider options like Sling Tv or PlayStation Vue, both of which are relatively low in cost. They don’t offer a huge cost savings compared to traditional cable, but are a good intermediary option. If you already own a smart television, you’re in luck, because most offer dozens of streaming services without requiring you to invest in additional equipment. You can also opt for a game service like Microsoft or Sony, or XBox or Playstation 4 devices can often stream television shows for you, too. A final option? Stream right from your phone. You may be able to stream using a service like Plex, and you can either just watch from your handheld phone or tablet, or in some cases hook it up via an HDMI cord to the big screen. You can even use your laptop or desktop computer, if you don’t mind moving them back and forth. Once you’ve settled on the “how” you are going to cut your cord, you need to figure out the “what” part. Which service provider would you like to use? 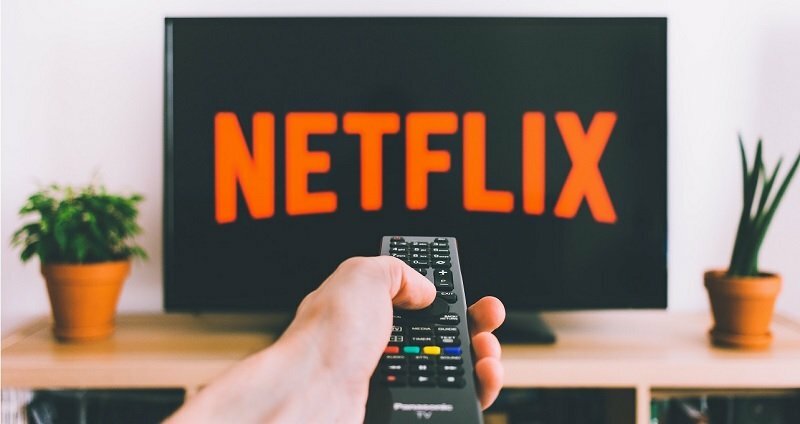 Netflix, Hulu, and Amazon Prime are among the most recognizable, but they are only a small glimpse of the many options available. Netflix is one of the most affordable streaming services, starting at just $8 per month. To watch on two screens, you pay $11 per month, while four screens will cost you only $14 per month. Netflix is the grandfather of online streaming, beginning as a DVD-by-mail rental service. With a number of original movies and shows, as well as a host of non-original offerings, Netflix is a classic choice. Hulu tends to focus on recently aired television. It is owned by companies that run ABC, Fox, and NBC, meaning you’ll get easy access to any shows on those networks. It doesn’t offer as much original programming as Netflix, but offers more in the way of classic shows like South Park and Seinfeld, for example. You won’t find many movies here, either, but you can add access to HBO, Showtime, or Cinemax for an additional fee. Hulu charges $8 per month with some free content, or $12 without commercials. Amazon Prime is really part of a larger service, costing about $9 per month as an addition to a regular Amazon Prime subscription fee. While it’s not really worth considering if you don’t already have - and aren’t interested in - an Amazon Prime membership, fi you already pay for this service, then it might be worth considering. One of the more unique options on the market is JustWatch, a website that allows you to watch just one particular movie or show at a time. This website offers more than twenty streaming, on-demand services, so if you are only interested in watching one series, you might look it up on JustWatch and save some serious money. There are other lesser known options on the market, too, like YouTube Red and HBOGo, for example. Do your research, and pick the right plan by considering what’s right for you. One of the hardest challenges for cord cutters is the fact that they will need to give up certain options, like sports, live television, or music channels. Luckily, there are solutions. If you use a cable-replacement or streaming sports service, for example, you can still receive access to your favorite shows. Most major sports organizations offer streaming packages, like NBA League Pass. While these can be expensive - between $100 and $200 per year - they are a good way to get what you want without sacrificing your bottom line. When cutting the cord, you also lose access to premium channels, like HBO, Showtime, and Starz. If you want to watch shows on one of these networks but don’t want to pay the high price of cable (which usually charges extra for these networks anyway), consider investing in the network as a stand-alone streaming service and just cut out the middle man. Each of these major networks already offers apps and streaming services, so you won’t need to get too creative. What Kind of Internet Set Up Do You Need? Try not to get too excited by thinking you will be able to cut the cable bill altogether. You still need a pretty sizeable Internet connection to access your favorite shows, something you might still be reliant on your cable company to provide. If you are thinking about cutting the cord, keep in mind you will need broadband speeds, usually with a speed of 5Mbps download connection speeds. More is better, however, with high-definition services requiring a lot more juice (think at least 25 Mbps for Ultra HD or 4K quality) to fuel. In many areas of the United States, particularly in rural areas, these speeds are simply not yet available, meaning cutting the cord may be a challenge for you. No good thing is without some challenges. There are certain scams you need to watch out for when you are searching for the right streaming service for you. There are also some illegal options to consider that can get you into trouble. Plus, the video quality has a tendency to be sub-par as well. Watch out for free Internet channel sites like ChannelChooser, Myeasytv, ChooseAndWatch, and Projectfreetv (the latter from which many users report getting viruses). There are also many illegal streaming services and devices. The Kodi box, for example, is considered a pirate streaming box that is now outright banned by Comcast Xfinity. Even antennas are joining the list of scams to be wary about. The ClearView HDTV Antenna, marketing by a company named True Signal, is just one such example. Be vigilant when you are searching for services and equipment, as violating a privacy law or giving your computer a major virus simply isn’t worth the $8 or $9 you will pay for a legitimate service. There are several ways to continue to slash your entertainment budget. For starters, if you are going on a trip and won’t be using your account for a while, you can temporarily cancel your membership for up to ten months. Looking to stream more content - particularly what might not be available in your country? Try switching your VPN to a different server. Since Netflix deals with licensing in multiple countries, what you have in the United States will be different than what is available in the U.K. You can also pay less by subscribing to an iOS app, which charges you from your virtual account instead of by credit card. Make sure you are also on the right plan. Different subscriptions are charged by different companies. For example, you might unknowingly be on a higher-level plan on Netflix than you actually need. Don’t pay for an upgraded plan if you don’t need it. Finally, consider other hacks like adding multiple family members to one account. Now, be careful with these sorts of tips, as some streaming services have policies in place that prohibit multiple households from sharing the same account. However, if you are smart about it, you can save some serious coin. Overall, you can cut nearly $100 a month from your television viewing budget by making some of these simple swaps. While the savings won’t be as extreme for customers seeking a more minimalist viewing experience, the potential to seriously save some cash is there. Join the millions of Americans who have already done so by cutting the cord and living a life that is free of the reign of your local cable company.